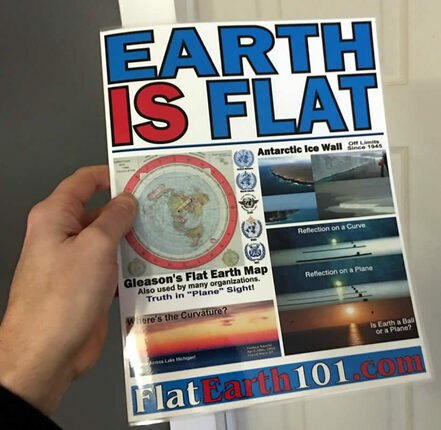 There you are with some Flat Earthers having a Meet Up, wouldn't it be nice to have something to signal your FE Guests with? 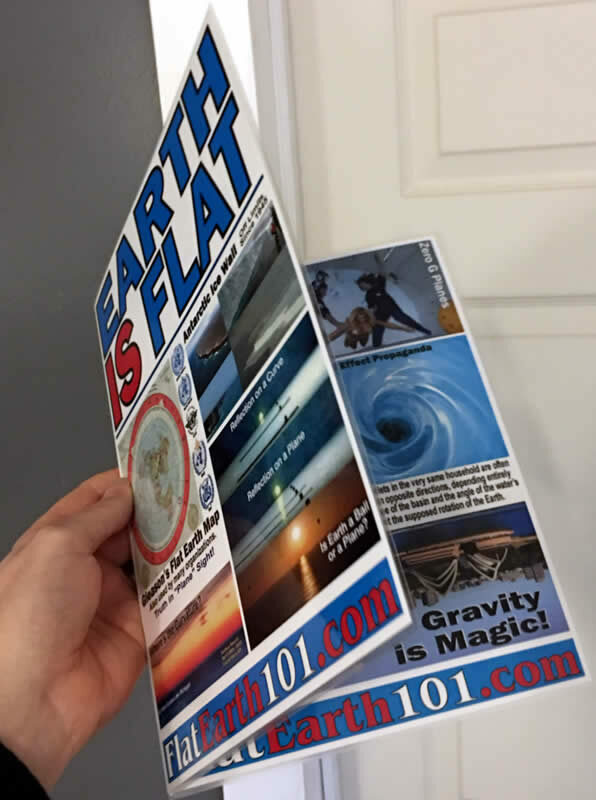 Just sit our Flat Earth Menu upright on your table and your fellow Flat Earthers will have no problem finding you! 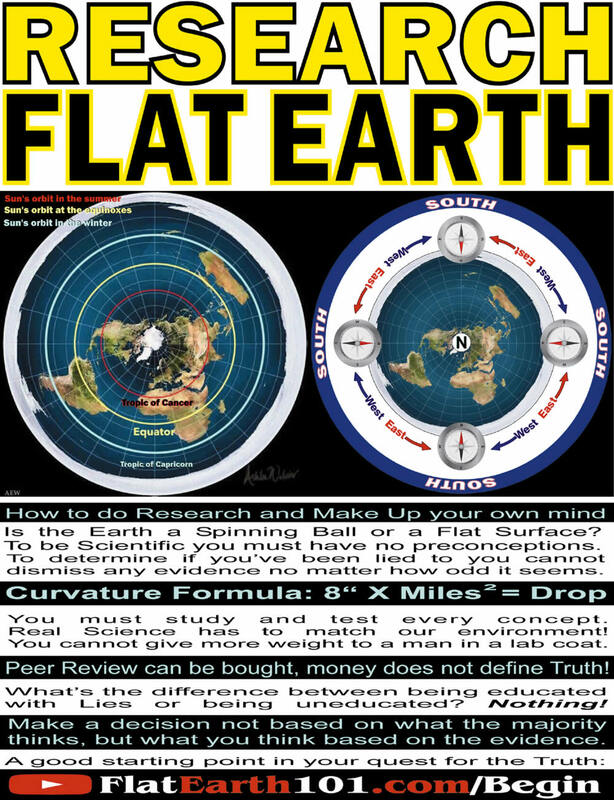 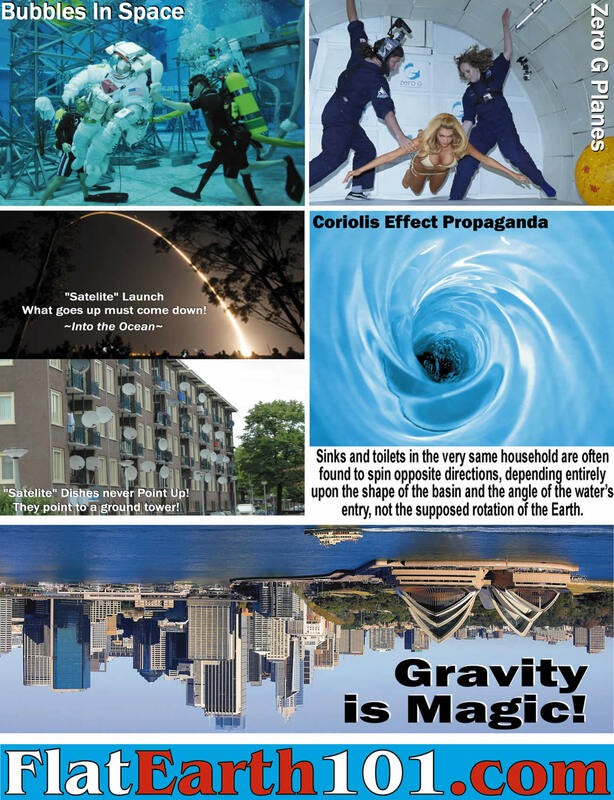 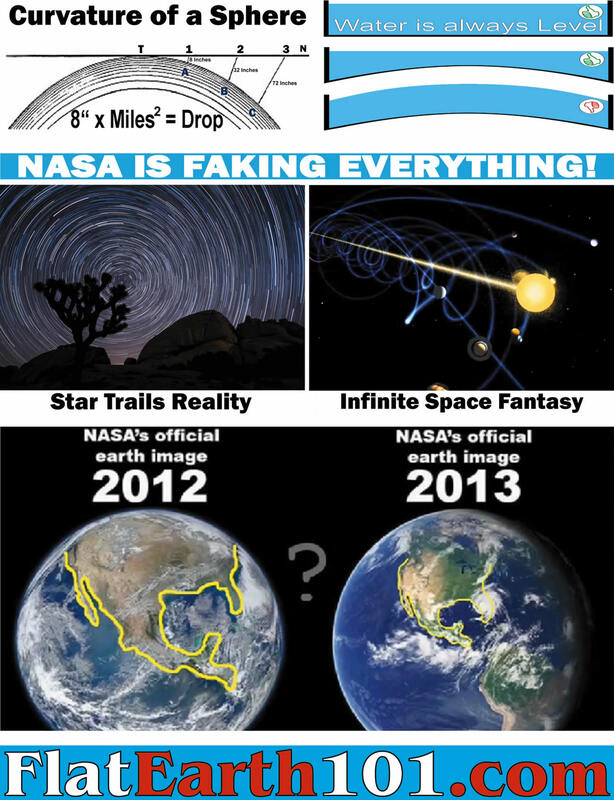 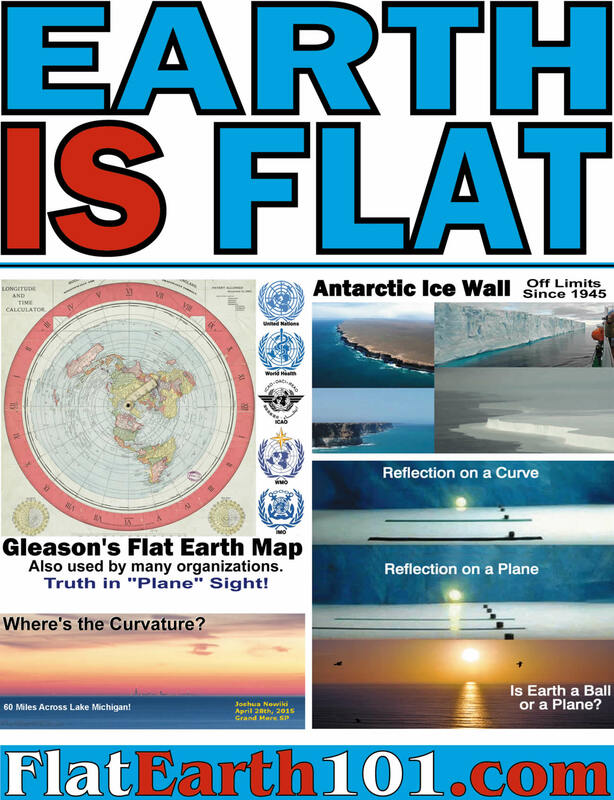 As an added bonus you'll be doing some passive Flat Earth Activism as you will undoubtedly get some questions from curious ball believers! 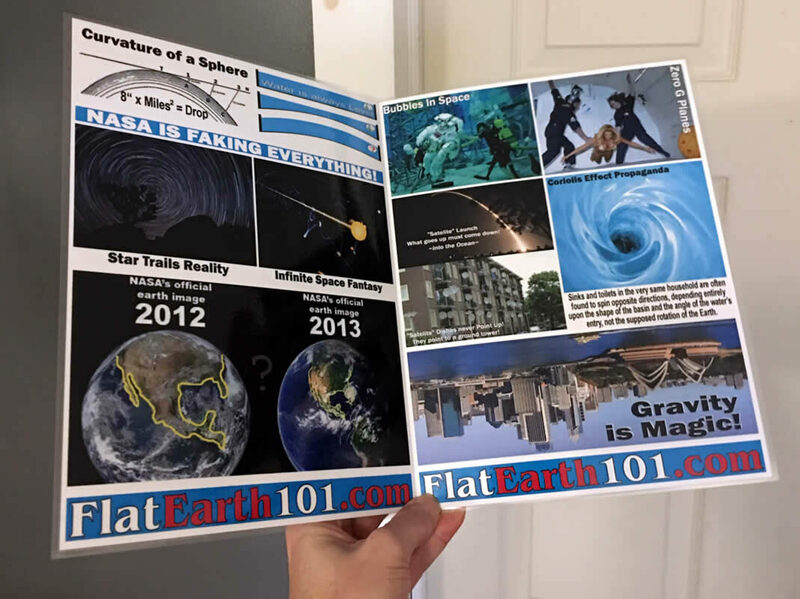 Invite them to join you and they can look at the Flat Earth Menu as it contains a bunch of thought provoking Flat Earth Proofs! 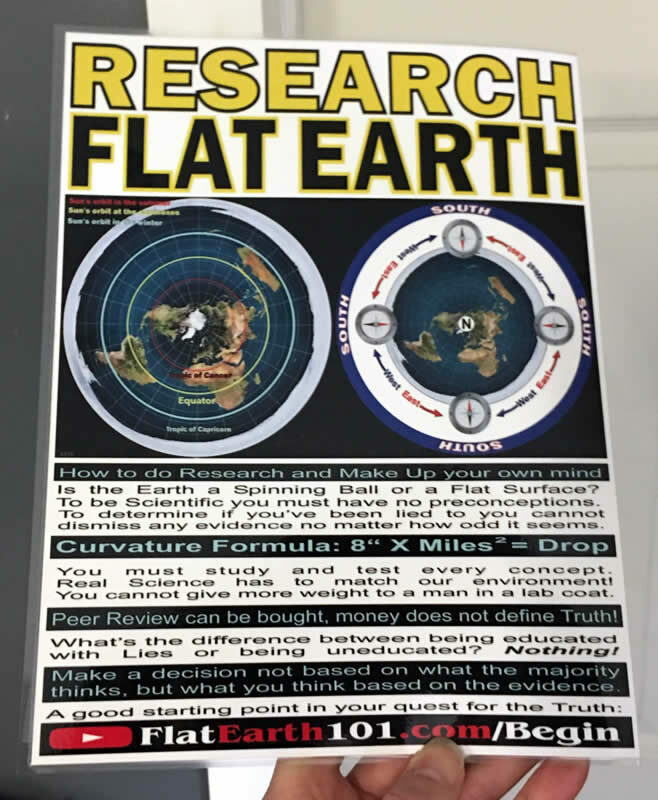 Turn your Meet Up into Activism! 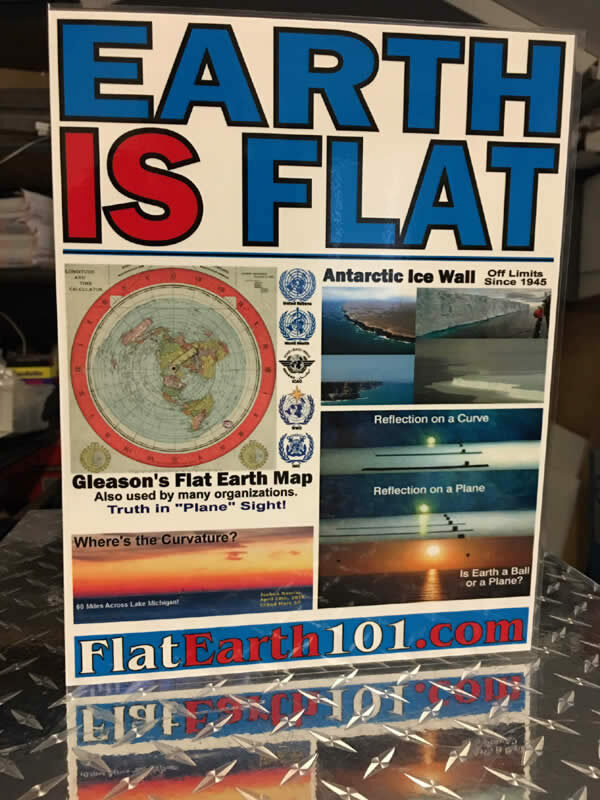 Marilyn, Rob, Mark and other Flat Earthers displaying the Flat Earth Menu a Delaware MeetUp.